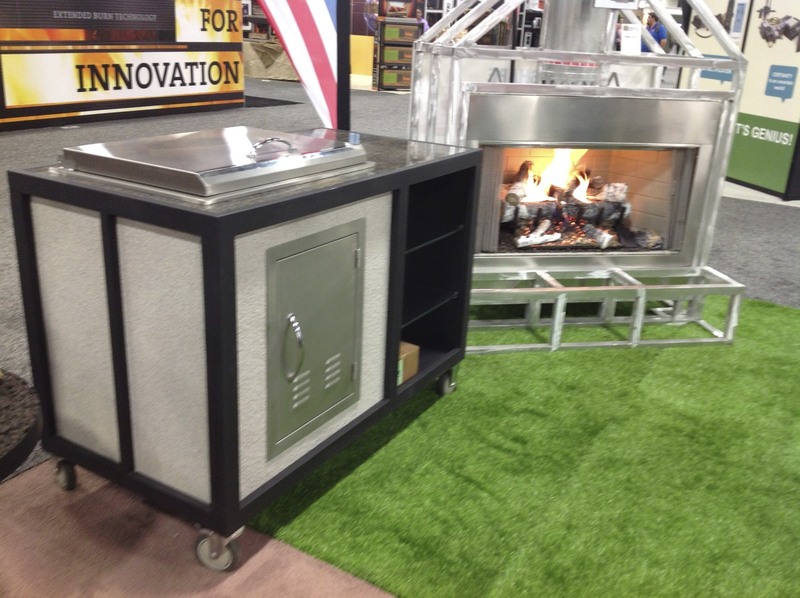 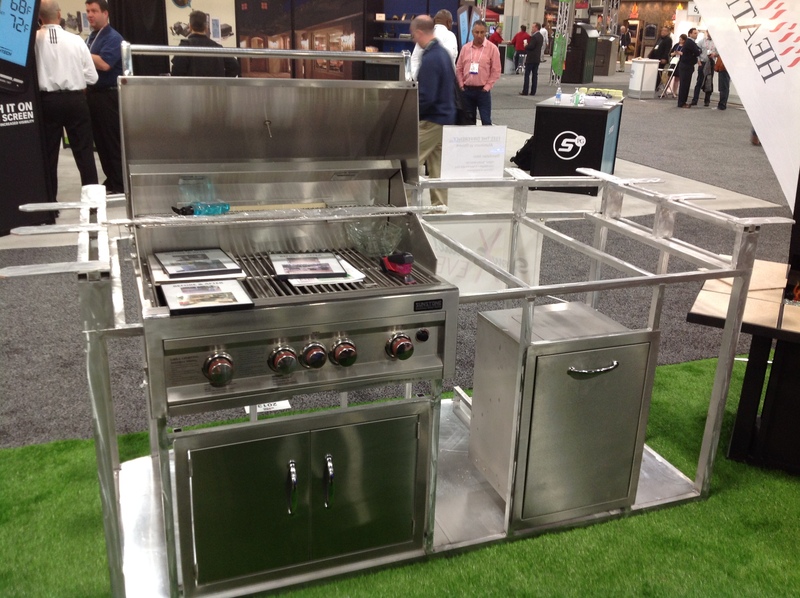 Check out our newest model of tough as nails outdoor grilling cabinet. 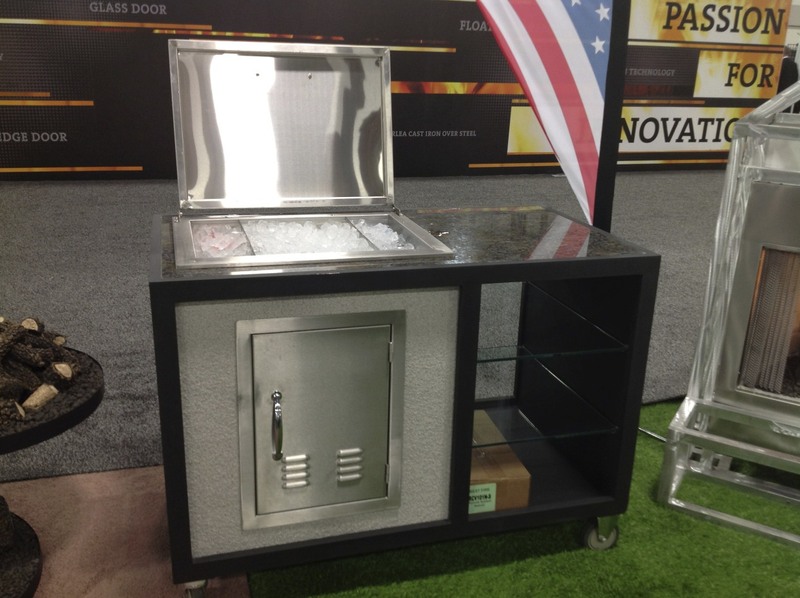 This cabinet is made from welded square tube aluminum, welded aluminum enclosed box with FIremagic Stainless door on the front with 4 casters and a counter top made from Trex Decking. 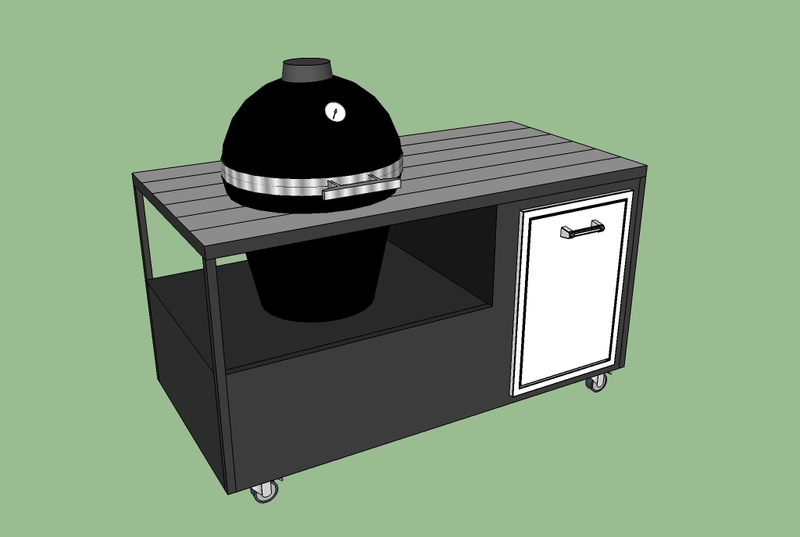 The metal is powder coated in black and it can be made to accommodate any ceramic or metal grill. 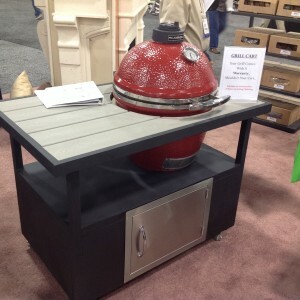 Delivered to your home for $899.00! 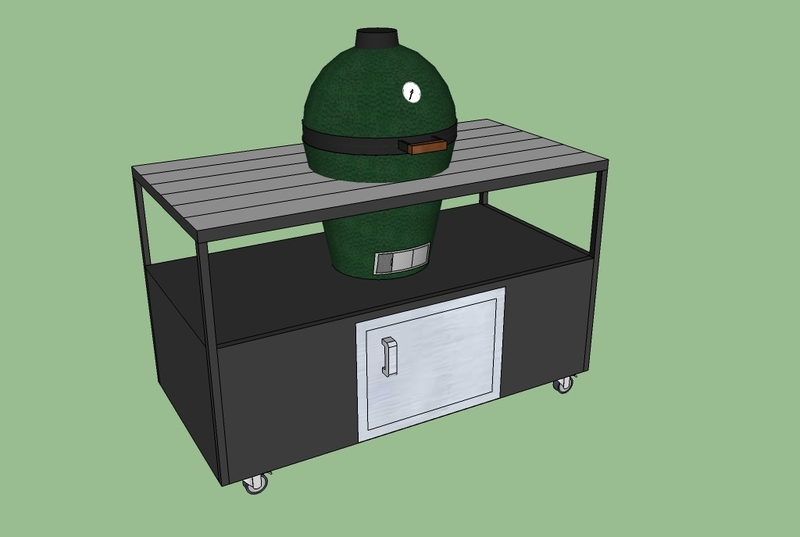 This design can be customized to accommodate any storage product you can dream up. 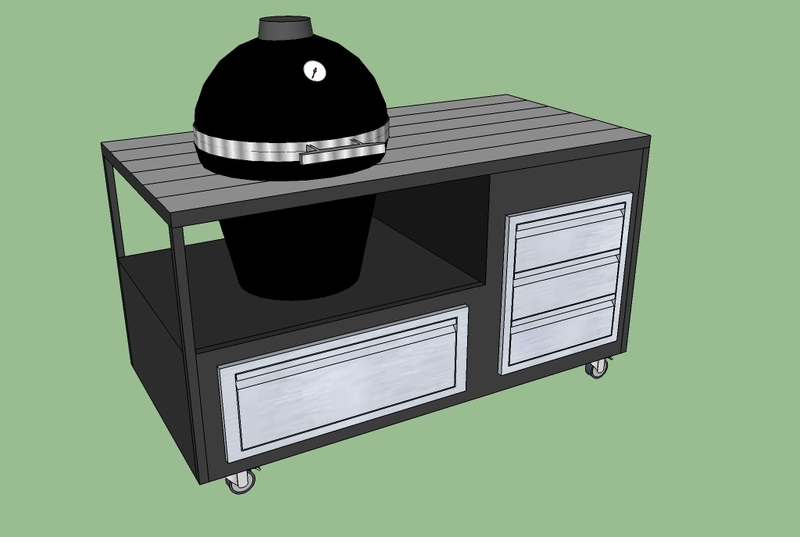 Drop us a call and let us build you the perfect grill cabinet. 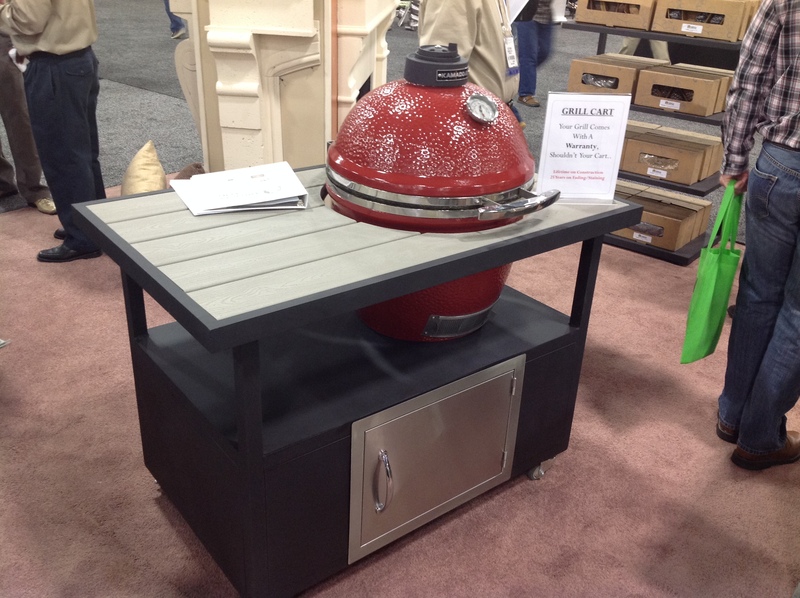 This cabinet features a Firemagic 43914 storage door and can accommodate any ceramic grill! 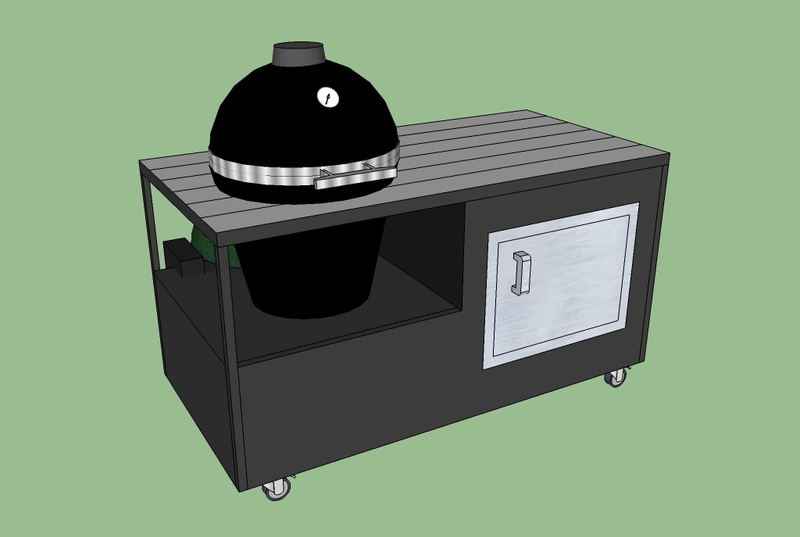 The dimensions are 60 long, 30 deep and 37″ high.